Take the symbol of one of our greatest heroes with you - on your luggage, briefcase, favorite bag or tote. 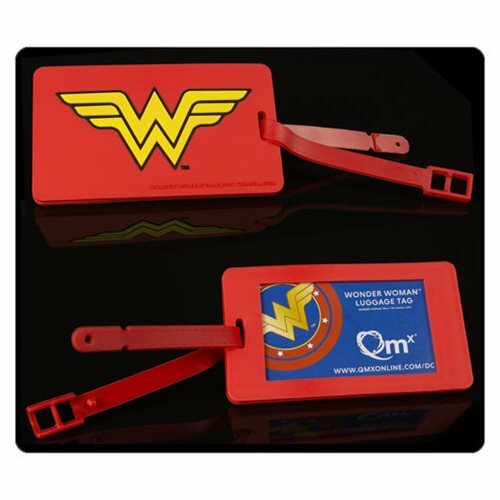 This awesome tag features Wonder Woman's logo on a red background in durable, flexible plastic. Flip it over and write your contact information on the included card, or slip your business card in instead. It just might help keep villains away from your stuff! Measures 4 1/4-inches long by 2 1/2-inches wide. Ages 13 and up.